There’s a fantastic educational poster from Greenpeace that I’ve seen in several places (for example, here on AQIcn). “No effect” it says. But when I read the cited articles, I saw no tests of surgical masks. But I should be nerd fair. Maybe they really mean “a small effect.” Then how small would be small? 10% of particles? 20%? I’ve read three independent tests of surgical masks, and here’s what I learned: surgical masks are shockingly good at protecting against particulate pollution. Researchers from Edinburgh University tested how much diesel exhaust different masks could block, including a surgical mask. They tested down to .007 microns. That’s way smaller than 2.5 microns. 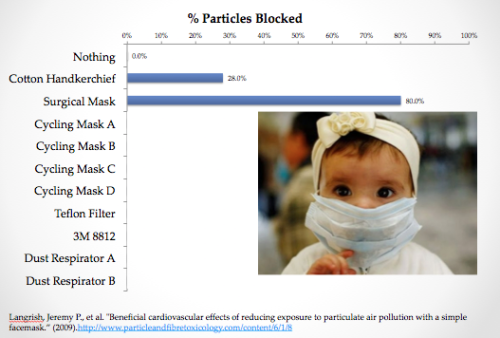 The surgical mask blocked 80% of particles. 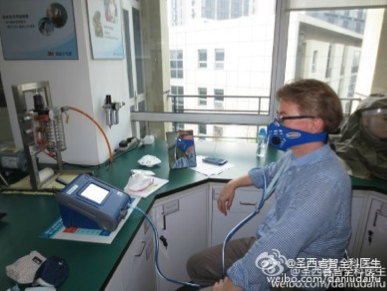 In Beijing, Dr. Richard Saint Cyr fit tested several masks on his face using a fancy fit-testing machine. In a brand new study out of the University of Massachusetts, researchers tested N95 masks, cloth masks, and a surgical mask on a mannequin. 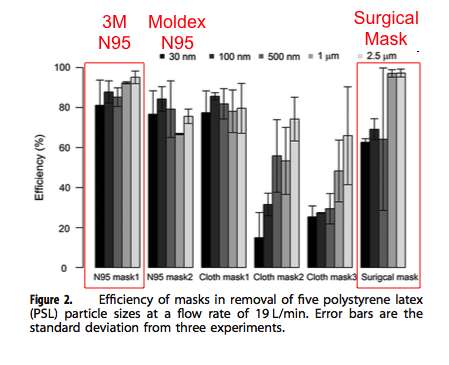 The surgical mask blocked about 60% of .03 micron particles and over 90% of 1 micron and 2.5 micron particles. The left-most mask is a 3M N95 mask, the “N95 mask2″ is a Moldex N95, and the right-most mask is a cheap surgical mask bought from a street vendor in Kathmandu. 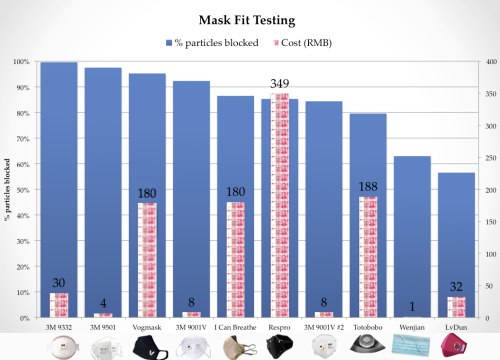 Based on scientific fit tests and particle penetration tests, surgical masks as cheap as 1 RMB (US$0.15) block between 60-90% of particles. That includes even the really small particles and even while a person is actually wearing it. Now let me be clear. 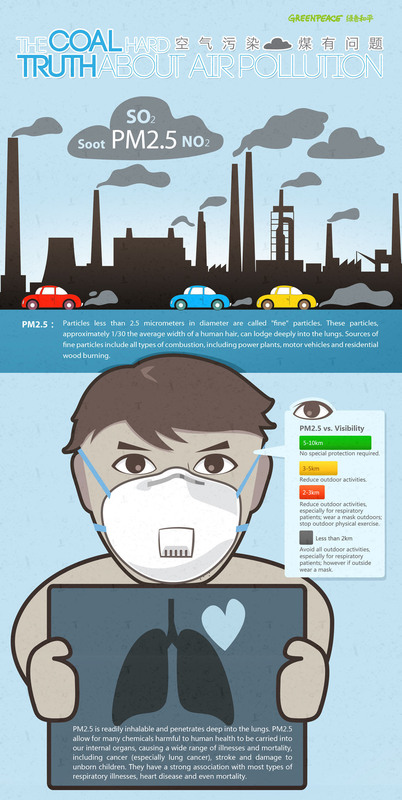 I’m not recommending that everyone use surgical masks. I wear N95 and N99 masks because tests show they fit better and capture more particles. 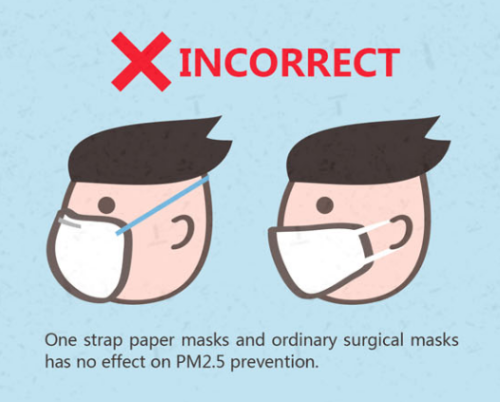 But if professional masks are unaffordable or it’s a bad air day and you forgot your normal mask at home, or even if you’re caught out with a wildfire, ducking into a pharmacy and spending 1RMB on a mask will significantly reduce your exposure to particulate pollution. I am launching a new foundation to tackle air and soil contamination in Mongolia called Green Belt. I would love to cooperate with you and your organisation. Also, can I have the complete names of the three studies you have referenced at the top in regards to the efficacy of surgical mask in reducing the pollution we breath in. Thank you for the work you are doing and looking forward to hearing back from. Hi Erdene, thanks for your comment! I’ve passed on your information to our team on the ground in Ulaanbaatar, you’ll hear from them shortly!